We started Mochi & Jolie® because we believe beautiful objects with love, individuality and stories can touch people’s hearts and lives in so many ways. Since 2009, with a deep appreciation for timelessly well-made objects, we design products that delight the heart. From the artist’s workbench directly to your doorstep, Mochi & Jolie® Jewelry pieces are designed and handcrafted with captivating purity, precision and profound attention to detail. By embracing the materials and technologies at hand, they represent a graceful merging of modern production techniques and centuries-old craftsmanship traditions. Mochi & Jolie® Jewelry pieces are handcrafted by masterful artisans from around the globe in limited numbers. Inspired by the true, unconditional love bonds between human and their four legged companions, an enviable Pet Lover Lifestyle Collection of high quality and joyful everyday products is in full swing, including Watches and Dog Tags for the pet lovers, Dog Apparel and Toys for the fur kids. 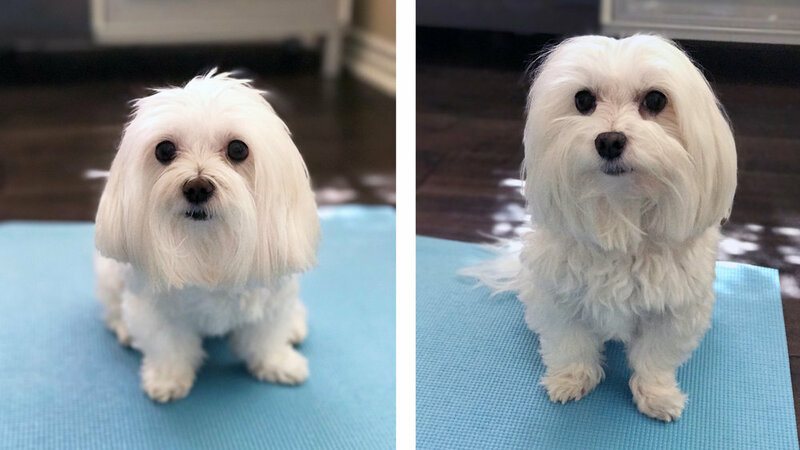 Mochi is a cuddly Maltese super model and the inspiring muse behind the brand. She loves kissing, enjoying yummy food, sun bathing, and playing with her favorite toys. Mochi is fearless and truly knows how to live a beautiful life. Jolie is an affectionate Maltipoo super model and a guardian angel. She loves cuddling, sun bathing, taking car rides, napping a few times a day and playing with her favorite squeaking toys. Jolie is a happy camper!